Group. Oil on linen. 100 x 130 cm. From his earliest days as one of the pioneering students at the Visual Arts Research Centre in Johannesburg, André van Vuuren has explored a freeform way of expressing himself in an environment vibrant with activity. 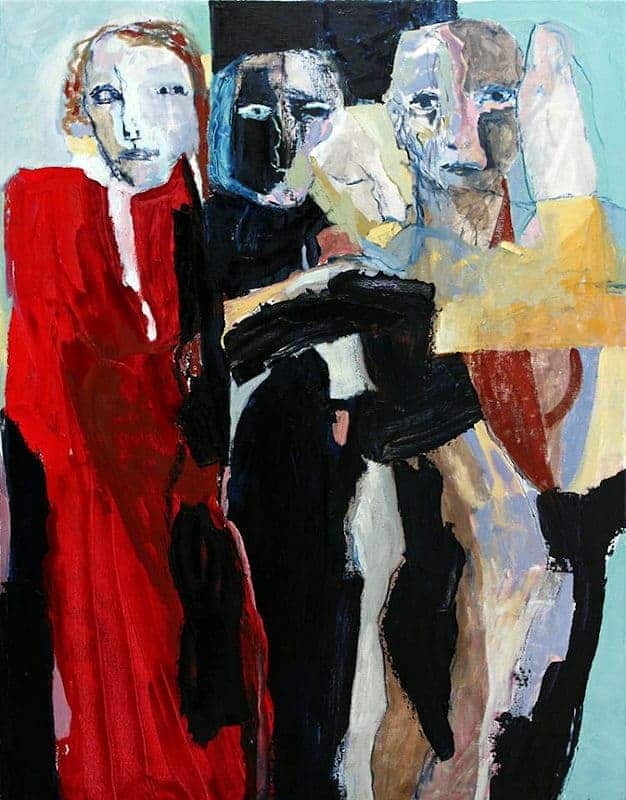 His visceral expressionist style is filled with figurative and abstract features that reveal themselves after prolonged study of his dense subject matter, rewarding the more involved viewer with a deeper, richer experience. Inspired by his travels in Germany, Russia, Tuscany, Zanzibar and India, he has developed an authoritative and impactful mastery of line, image and colour. André has exhibited extensively over the years and his work has been displayed in leading galleries in South Africa and Europe.